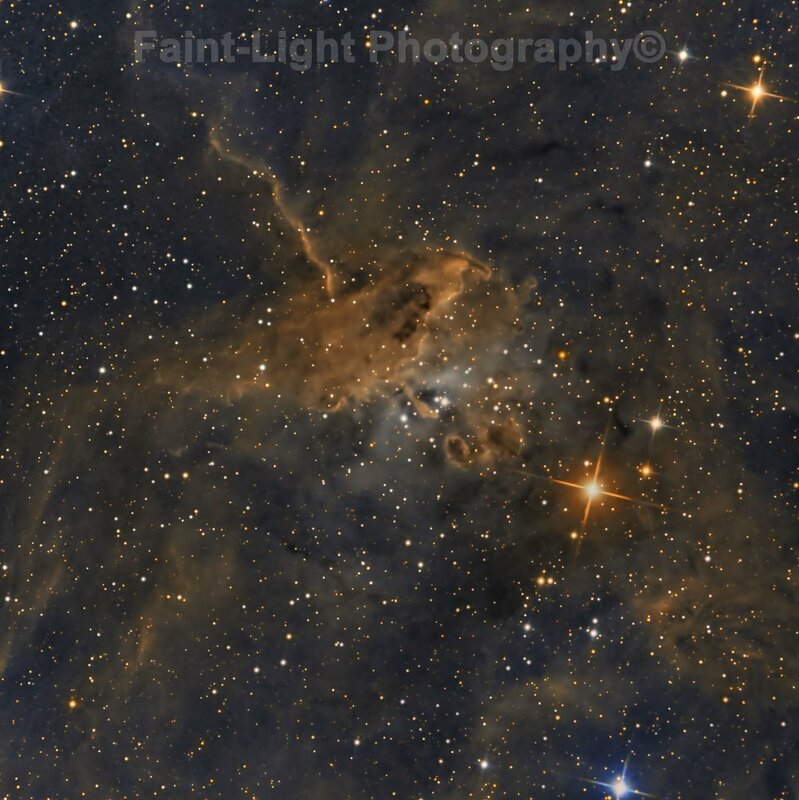 IC 417 is an emission nebula that is energized by embedded hot, massive blue stars. It also is a very active star-formation region, as seen in the infrared. The fanciful name pairs with an adjoining nebula referred to as the Fly Nebula.